Srinagar, (Staff Report): At least five Kashmiri youth were martyred in Baramulla on Monday morning, during Indian fresh operation. According to details, the youth were martyred during a joint operation launched by the Indian army and the Central Armed Police Force (CAPF) at Dulanja in Uri area of the district. Indian authorities claimed that the youth were members of militant organization Jaish-e- Muhammad and they were about to conduct suicide attack. 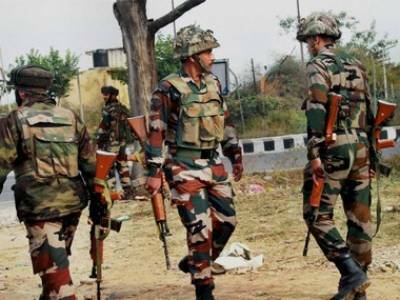 Indian forces conducted search operation in the area violated the human rights of the civilians. Moreover, mobile service also was hindered in the area.